Guatemala Political map with 22 departments, labeling with major Departments, Guatemala, Huehuetenango, Alta Verapaz, and San Marcos. Guatemala outline map labeling with national capital and major cities, Guatemala City, Huehuetenango, Cobán, San Marcos, Santa Cruz del Quiché, and Quetzaltenango. 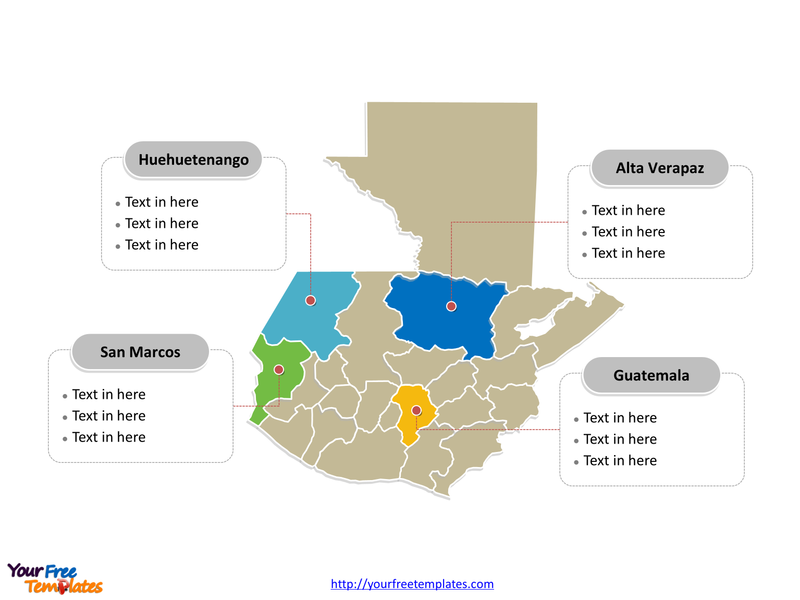 The Map of Guatemala Template includes two slides. Guatemala is a country in Central America. 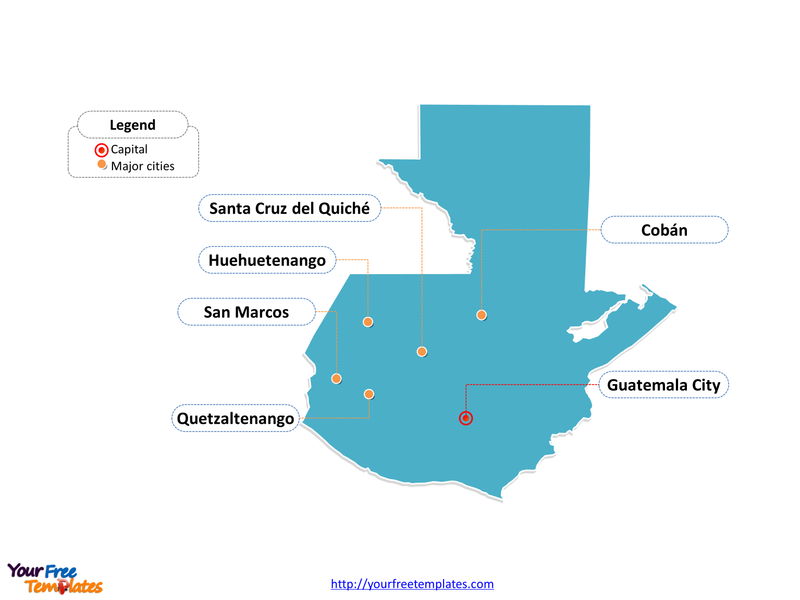 The capital is Guatemala City, other major cities including Huehuetenango, Cobán, San Marcos, Santa Cruz del Quiché, and Quetzaltenango. 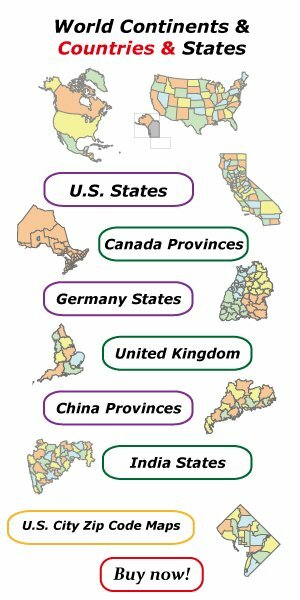 Slide 2, Country political map labeled with major administration districts. Guatemala is a country divided into 22 departments; they are Alta Verapaz, Baja Verapaz, Chimaltenango, Chiquimula, Petén, El Progreso, El Quiché, Escuintla, Guatemala, Huehuetenango, Izabal, Jalapa, Jutiapa, Quetzaltenango, Retalhuleu, Sacatepéquez, San Marcos, Santa Rosa, Sololá, Suchitepéquez, Totonicapán, and Zacapa. Every individual political subdivision is an editable shape.